Topic: Peanut and Shellfish Immunotherapy: Who When and How? Peanut and shellfish allergies are often lifelong conditions. Most children with peanut allergy do not outgrow their peanut allergies and tend to have accidental reactions in up to 30% of the patients. The event is for parents who have children and adolescents with peanut allergies. We will cover common questions on peanut exposure, and the oral immunotherapy program to improve the safety of children with peanut allergy. Shellfish allergy is the commonest food allergy in adolescents & adults in the Asia-Pacific region, with some unique differences from other food allergies. 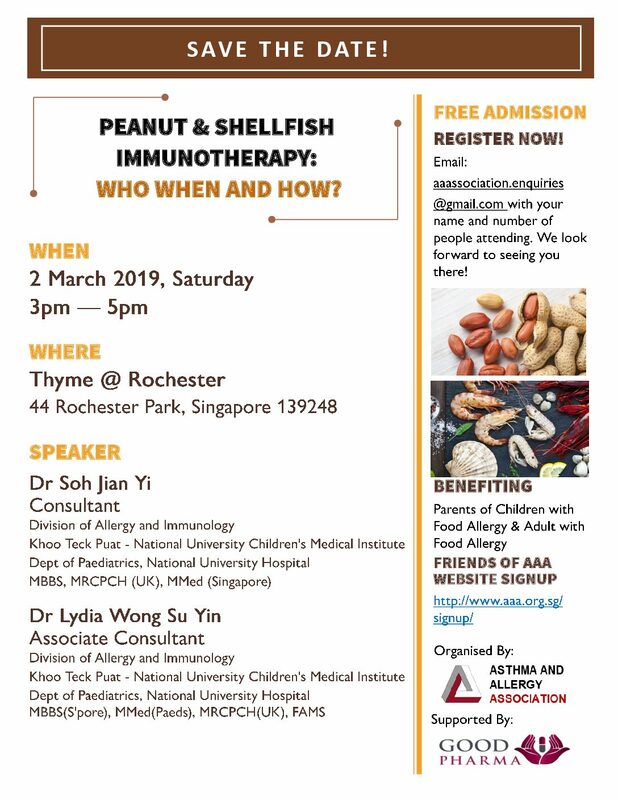 This talk will cover common questions on the diagnosis and management of shellfish allergy and will share information on research on experimental approaches towards treatment of shellfish allergy with immunotherapy.